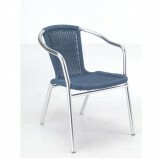 Our range of low cost outdoor furniture is ideal for cafes, bistros or other outdoor areas to sit and relax in. 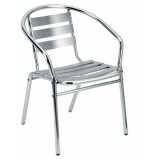 Outdoor seating is available in several styles including metal, wood or plastic. 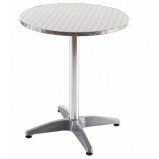 Aluminium tables and aluminium chairs provide the best option for outdoor seating areas as they weatherproof and easy to clean. Our outdoor chairs are also easy to stack and store away, or move to different areas if you need seating for outdoor functions or events.